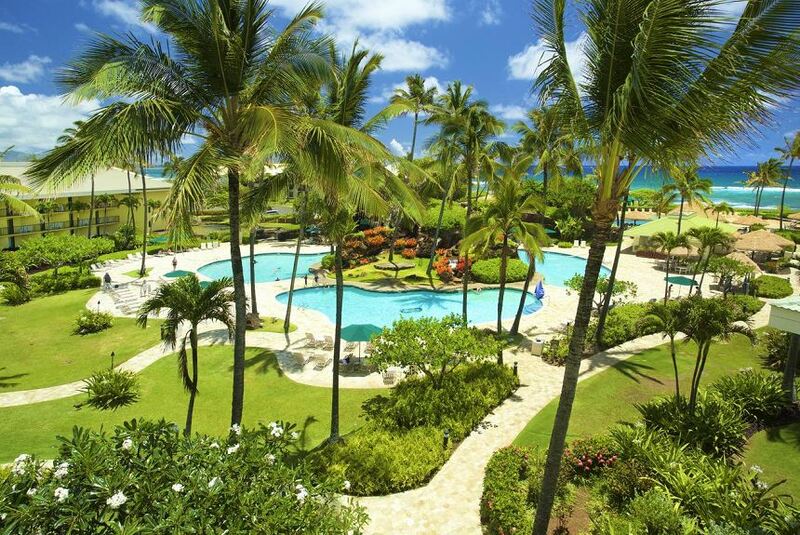 Nestled on 25 breathtaking oceanfront acres on Kauai’s eastern shore, Aqua Kauai Beach Resort offers true Hawaiian hospitality and excellent amenities and activities that embrace our island lifestyle. Our resort offers something for everyone: 4 idyllic swimming pools with waterfalls and a waterslide, on-site dining, spa, cultural activities, live entertainment, and much more. Centrally-located, our resort offers easy access to the best of Kauai, from the lush mountains of the north shore to the staggering scenery of Waimea Canyon to the south, and everything in-between. Immerse yourself in Kauai’s most authentic and complete resort experience.